The Pelicans defeated the Grizzlies, 114-95 tonight in New Orleans. 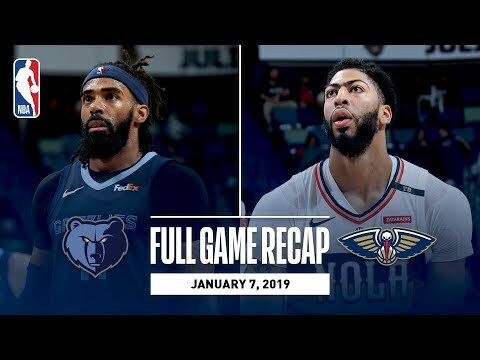 Anthony Davis contributed a team-high 36 points (14-20 FG) to go with 13 rebounds 3 assists, 2 steals and 3 blocked shots for the Pelicans, with Frank Jackson adding an additional 17 points (7-10 FG) in the game. Mike Conley finished with a team-high 22 points (5-11 FG) along with 10 assists for his 16th career game of 20+ points and 10+ assists (passing Mike Bibby for the most in Grizzlies? franchise history), while JaMychal Green tallied 16 points (6-10 FG) and 5 rebounds in the losing effort. The Pelicans outscored the Grizzlies 23-9 in fastbreak points and 70-42 in the paint. With the win, the Pelicans improve their record to 19-22, while the Grizzlies fall to 18-22 for the season.